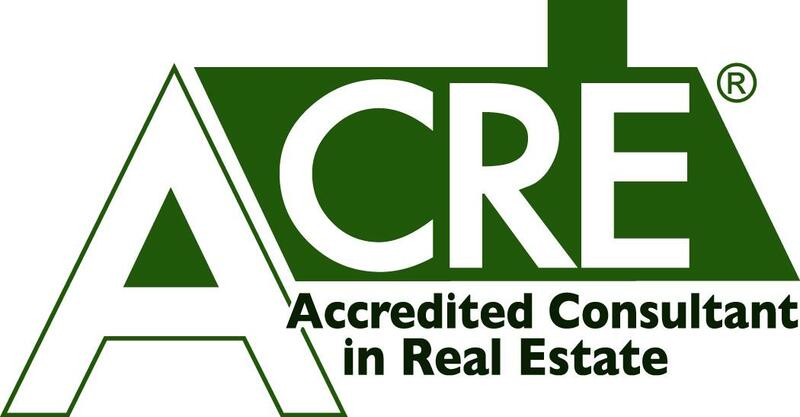 Local Real Estate Professional Fred Carver earned the prestigious ACRE® (Accredited Consultant in Real Estate) Designation. The Accredited Consultant in Real Estate (ACRE®) Designation Course & Coaching Program gives real estate professionals the tools to offer today’s internet-savvy consumer what they have been wanting for years: quality, transparent choices in the services that they can receive and how those services can be paid for. The ACRE® philosophy is not about discounting commissions but rather about offering the real estate consumer choices about the services that they want and/or need their real estate professional to perform. Traditional full commission services are also a staple of the real estate consultant’s menu of services, but by providing choices, consultants can give consumers the opportunity to receive the services that meet their specific needs and pay for them in the way that is most comfortable. Mollie Wasserman, who founded the Accredited Consultant in Real Estate (ACRE®) Training and Certification Program in 2006 says “We congratulate Fred on his commitment to completing the ACRE® coursework and implementing the consulting model into his real estate practices. It is real estate professionals like Fred that are changing the way that real estate is being done and offering options to their customers creating a win-win for everyone involved.” Wasserman is the author of “The End of 6% - How to Get the Real Estate Expertise You Need Without Paying Commission” and “Ripping the Roof off Real Estate” as well as serving as the Chairwoman of ACRE® Council LLC, the business entity that promotes the real estate consulting approach to the industry.